How Do I Figure Out My Windows Edition? - Ask Leo! 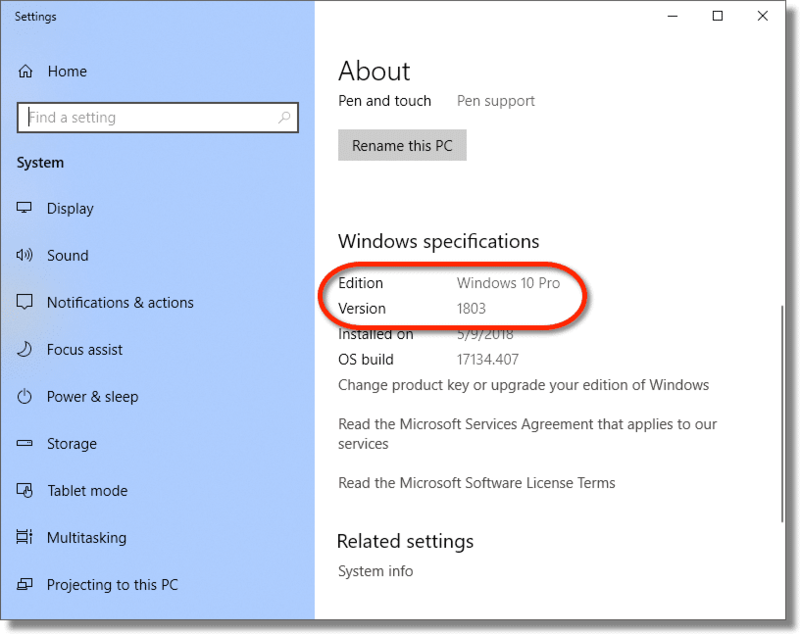 The "edition" of Windows you're running -- Home, Pro, or others -- defines some of the features made available. It's not difficult to find out which edition you have. 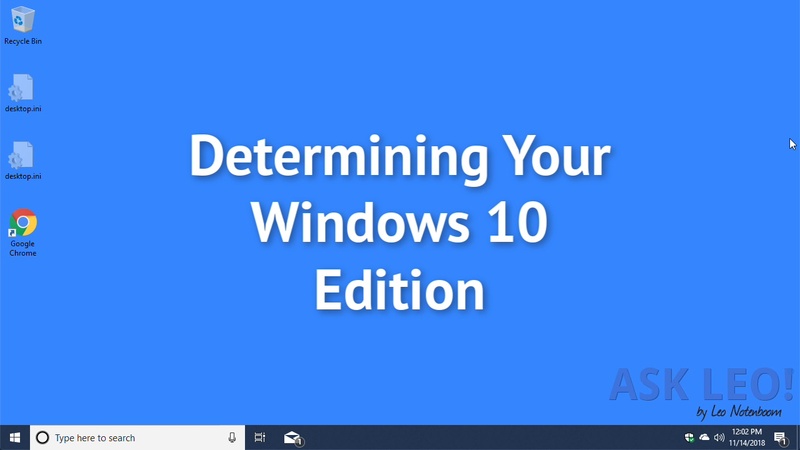 The Windows “edition” determines what features and functionality are included in a specific installation of Windows. 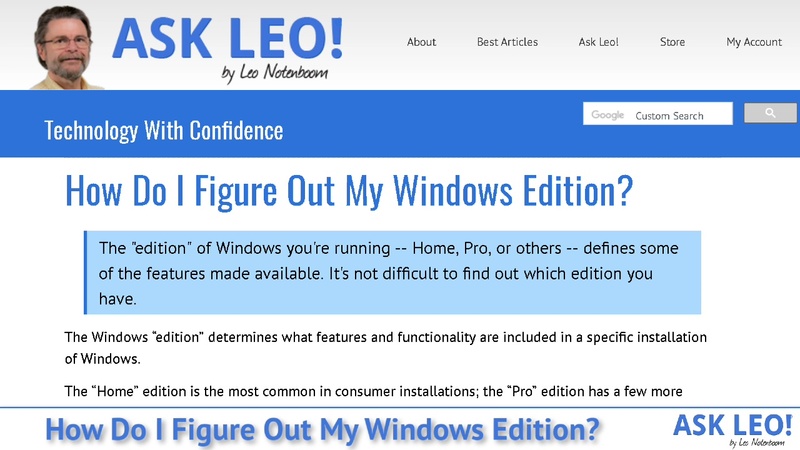 The “Home” edition is the most common in consumer installations; the “Pro” edition has a few more features (and hence I generally recommend it over Home, even when used in the home); and then there are Enterprise and Educational editions that are tailored for those environments. But which one do you have? It’s easy to find out. 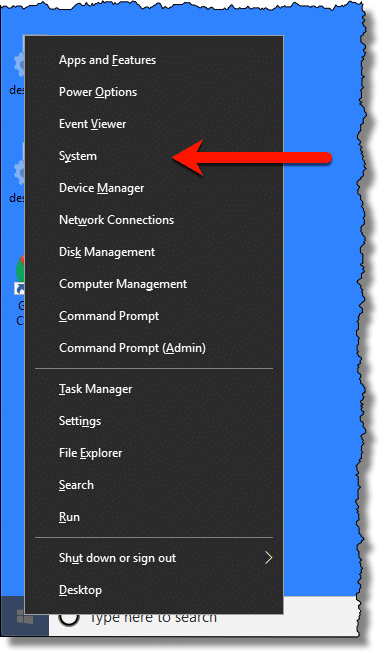 Right-click on the Start menu, and then click on System. System item on the right-clicked Start menu. This will open the Settings App to the “About” page, which has the information. The only “trick” is that you need to scroll down to find it. Windows 10 Edition in the About page. Both the Windows Edition — Pro in the example above — as well as the current version of the operating system — 1803 — are clearly displayed. Click on the Start menu, right-click on Computer (in some versions this may be “My PC”, “My Computer”, or similar), and then click on Properties. Computer Properties Link in Windows 7. The resulting properties page includes the information we want. Windows 7 Edition in the System Properties dialog. 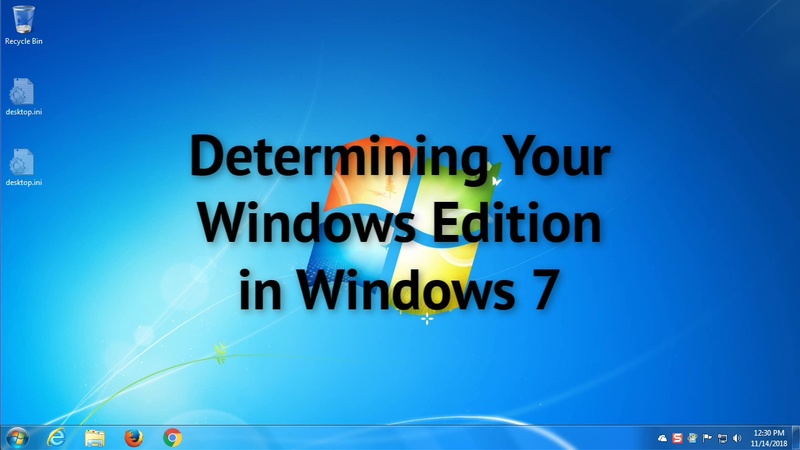 Windows 7 doesn’t include the same kind of version information that Windows 10 does, so there’s no additional display. How Do I Switch Back to a Local Account Sign-in for Windows 10? - It's not uncommon to set up Windows 10 only to find you're required to log in with a Microsoft account. I'll show you how to restore a local account sign-in. How do I move my Outlook Express email from Windows XP to Windows 7? 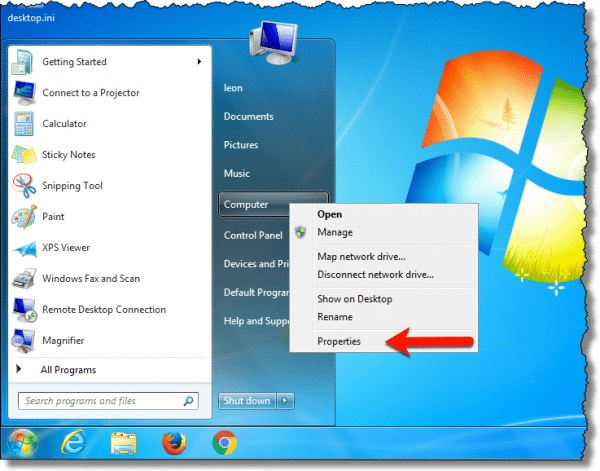 - I'll show you how to move from Outlook Express to Windows Live Mail on Windows 7 (the easiest moving option), step by annoying step. How Do I Upgrade Windows from 32-bit to 64-bit? 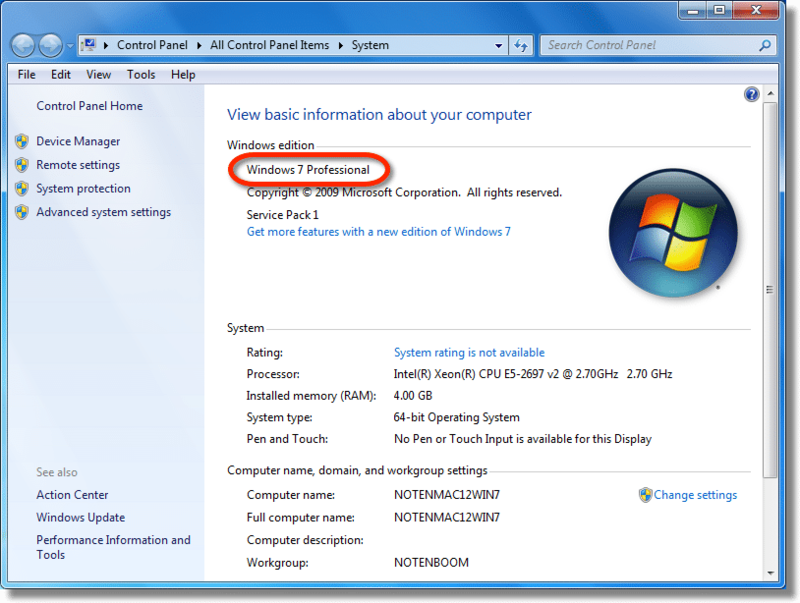 - If you have a 64-bit capable machine, you may want to upgrade from 32-bit Windows to 64. Unfortunately, the upgrade, while quite possible, isn't easy. Mine actually doesn’t show the edition when I do that. In Windows 7, holding the Windows key and pressing the ‘PB’ key will provide version info. Many laptops don’t have the Pause/Break key.